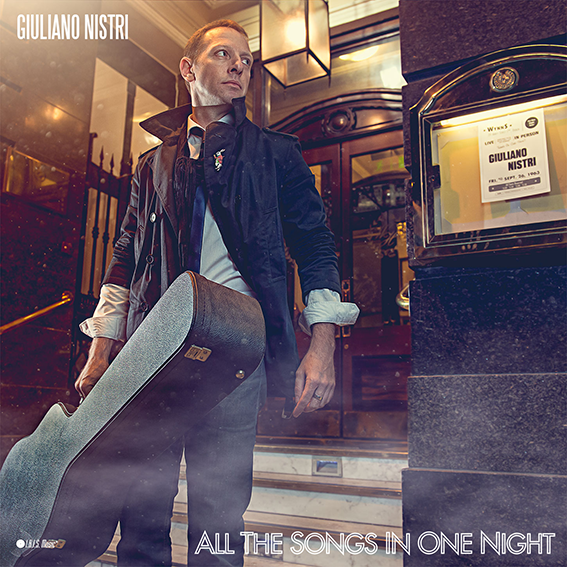 All The Songs In One Night - Giuliano Nistri - Album Out Now! .R.ecorded acoustically and played live in the Sun Studios in Dublin, All The Songs In One Night is a true-to-performance album written by Giuliano Nistri and produced by Pat Donne. A labour of simplicity and personal lyricism, this is not a mainstream record; it’s quiet and unassuming but also profoundly captivating and thrives in time with repeated listening. These are night-songs for adults, stories for when all the lights go out. 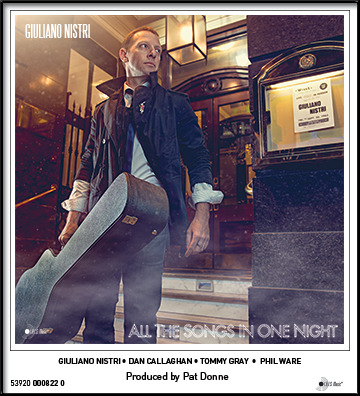 .T.he live recordings showcase the musicianship of Giuliano on guitar with Tommy Gray and Dan Callaghan on rhythm section. 'Said The Sun To The Night' is a piano-guitar-and-voice arrangement gilded by Phil Ware's beautiful rendition on the studio’s upright. Also on the album are a solo-guitar instrumental lullaby and a bare voice-and-guitar arrangement recorded live in the refined-sounding Ventry Studios. .T.he boxset includes inside the slip-case, a hard-cover book of photographs by Tomasz Bereska chronicling the three years work on the album from pre-production to recording, as well as a separate booklet with the songs’ lyrics and a poster replica of the cover image. Hard-cover Casebound CD Book24pp with photos and recording details. 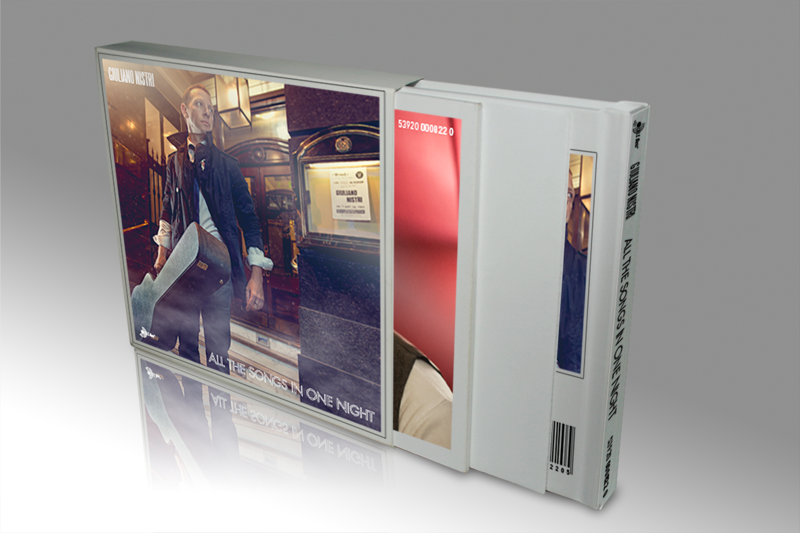 Slipcase145mm x 132mm x 19mm.